New Adventures is an iconic and ground-breaking British dance-theatre company, famous for telling stories with a unique theatrical twist. © New Adventures. Photograph by Johan Persson. 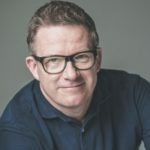 Sir Matthew Bourne OBE is widely hailed as the UK’s most popular and successful choreographer and director. For over 30 years he has been creating and directing dance for musicals, theatre, film as well as his own highly successful, award-winning companies. Matthew is the creator of the world’s longest running ballet production, and has been recognised by numerous international awards. He was knighted in the Queen’s New Year Honours 2016 for services to dance, and awarded the Queen Elizabeth II Coronation Award – one of the most coveted honours in the world of dance – in recognition of his outstanding services to the art of ballet. Other career highlights: Matthew has danced with the Royal Ballet since 2013 and was promoted to Principal in 2018. Roles with The Royal Ballet include Romeo, Prince Florimund and Bluebird (The Sleeping Beauty), Prince (The Nutcracker), Lensky (Onegin), Lysander (The Dream), the Young Man (The Two Pigeons), Escamillo (Acosta’s Carmen), Officer (Anastasia), pas de six (Giselle) and in Symphonic Dances, Jewels, The Human Seasons, Woolf Works, Afternoon of a Faun, Carbon Life, Scènes de ballet and The Age of Anxiety. His role creations include Albert de Belleroche (Strapless) and in Connectome, Untouchable, Woolf Works, Obsidian Tear and Multiverse, and most recently the role of Ted Feltham in Alastair Marriott’s production of The Unknown Soldier at the Royal Opera House. 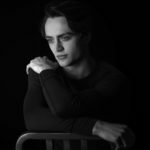 In 2016, he was named Best Emerging Artist at the Critics’ Circle National Dance Awards. Training: Northern Academy of Performing Arts, The Royal Ballet School, Rambert School of Ballet and Contemporary Dance. Roles and productions with New Adventures: Nutcracker! (2011- 2012), Play Without Words (2012), original cast and USA tour of Sleeping Beauty in the role of Count Lilac (2012-2013), The Prince in Swan Lake (2013-2014), Edward in Edward Scissorhands (2014-2015), Angelo in The Car Man (2015), Count Lilac and Carabosse/Caradoc in Sleeping Beauty (2015-2016), Ivan in The Red Shoes (2016-2017) and the Angel in Cinderella (2017-2018). 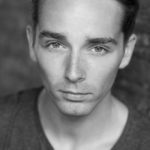 Liam has also appeared in Matthew Bourne’s Christmas (More4/Leopard Films); Imagine – A Beauty Is Born: Matthew Bourne’s Sleeping Beauty (BBC2); Matthew Bourne’s Sleeping Beauty (BBC2 and DVD) and The Red Shoes (BBC2). Other career highlights Billy in the original cast of Billy Elliot – the Musical, also featuring on the original cast recording. During his 18-month run, he performed at The Royal Variety Performance, was invited by Anna Wintour to perform in New York City at Vogue’s Met Ball, can be seen in Elton John’s music video Electricity, and was awarded a Laurence Olivier Award for Best Actor in a Musical. In 2014, Liam returned to Billy Elliot for a one-off live performance screened to cinemas worldwide, playing the role of Older Billy. Other credits include: Mikey Adams in Wire in the Blood (ITV); A Linha Curva by Itzik Galili (Rambert, 2010); dancer of the month in Dancing Times (2012); British Style by Drew McOnie for The Queen’s Coronation Festival Gala (BBC); the Deloitte Ignite Festival at the Royal Opera House, dancing the Swan duet with The Royal Ballet’s Edward Watson; and Sunday Night at the Palladium (ITV).